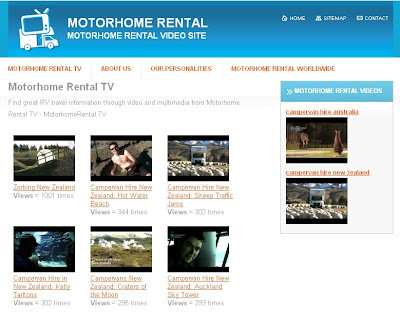 G'day - we've launched a new site that will showcase our YouTube RV Rental Clips at Motorhome Rental TV. Hit the road with our presenters, Justin Brown and Rohan Marx as the discover great new locations around the world to drive your motorhome, rv or campervan! Currently, we have our Australia and New Zealand videos there - but we will be adding videos from North America there shortly!